The Seishun 18 ticket (青春１８切符) is a special discount ticket sold by national rail operator JR twice a year – in summer and again in winter. The ticket allows a maximum of 5 non-consecutive days unlimited travel on JR local and express trains but not limited express (tokyu/特急) or Shinkansen trains. 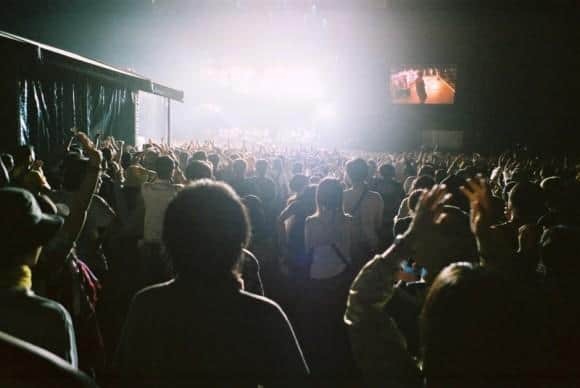 The tickets cost 11,500yen so unlimited travel for 2,300yen/day is outstanding value. Tickets for the summer period went on sale on July 1st and the last day of sales is August 31st. The period that the tickets can be used is from July 20th until September 20th. You can get more info on the tickets on the JR official site. Cheapo value aside, the Seishun 18 offers a great opportunity to see some of the beautiful landscapes of rural Japan and enjoy the ‘getting there’ part of travel. The Seishun 18 offers the flexibility for you to just jump on a train hobo style and see where it takes you. However, with a little planning you can hit some of the more interesting far-flung destinations that might normally cost you 20,000yen or more to get to. 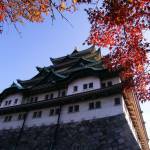 To help you on your way, we’ve prepared 5 escape routes from Tokyo – to Kanazawa, Hiraizumi, Fuji Rock, Nara and Miyajima. The schedule for each assumes you are leaving on a weekday and not on the weekend or a public holiday. Trains are more frequent on weekdays so if you leave on the weekend it might take considerably longer to get to where you’re going. Before you leave, you should make sure you’re stocked up with bentos, drinks, books, games etc. for those long boring bits. It’s also worth keeping an eye on the weather – although it’s less likely to be a hindrance than during winter, high winds in particular will throw train schedules into complete chaos. 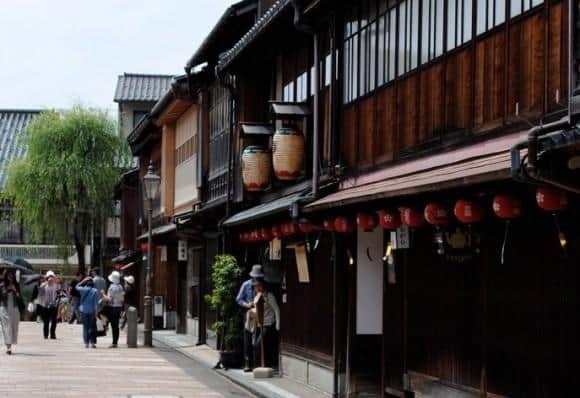 Kanazawa has a castle, lots of beautiful heritage buildings and awesome food – and it’s a long way from Tokyo by train so a perfect destination for the Seishun 18 ticket. Even though Kanazawa is due east of Tokyo and on the far side of the island, to get there, you have to first head north-west to cut through the spine of Honshu and then you’ll skirt the Japan sea coast for about 200km. As with all trains heading north, the starting point is Ueno Station. 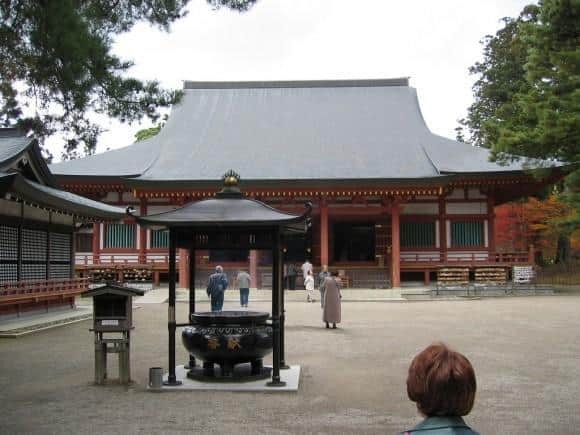 During the Heian and Kamakura periods (from about 1200 to 800 years ago) Hiraizumi in the far north of Honshu apparently rivalled Kyoto in both size and influence. Much of that has disappeared over the centuries but there are enough interesting bits left that the area received the much coveted status of ‘World Heritage’ in June 2011. This also means it will be crawling with flag wielding tour guides and fleets of tour buses but the temples and historic buildings are stunning. Also of note are two major festivals during the period that the Seishun 18 ticket is valid – the Chusonji Outdoor Bonfire Noh on August 14th and the Hiraizumi Daimonji Festival (where they light a fire on a mountainside in the shape of the 大 character – more famously associated with Kyoto) on August 16th. As with route 1 and 2, the jump off point is Ueno Station. Photo by *Key1jp used under a Creative Commons license. If you can afford the 43,000yen for a three day pass then you probably don’t *need* to get there with the Seishun 18 ticket, but perhaps you do! Either way, what better way to build your sense of anticipation and feeling of arrival than taking slow trains across one of the most rugged parts of Japan? The first stages open at 11am so you’ll want to start really early so you don’t miss much. The closest station (from which you can catch the shuttle bus for the 40 minute ride to the venue) is Echigo Yuzawa in Niigata prefecture. 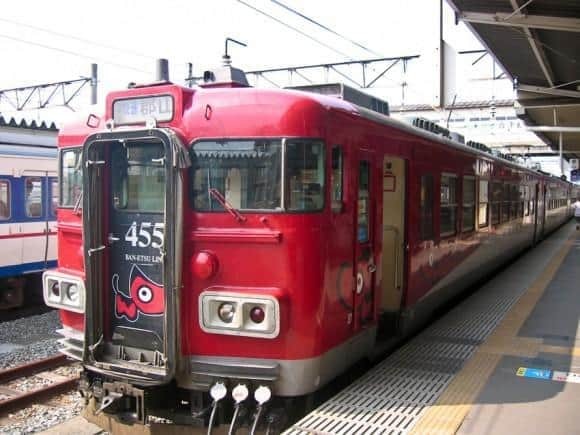 The route you’ll be taking is the same as the route to Kanazawa with the difference being you leave a lot earlier in the morning and the trip isn’t nearly as long. 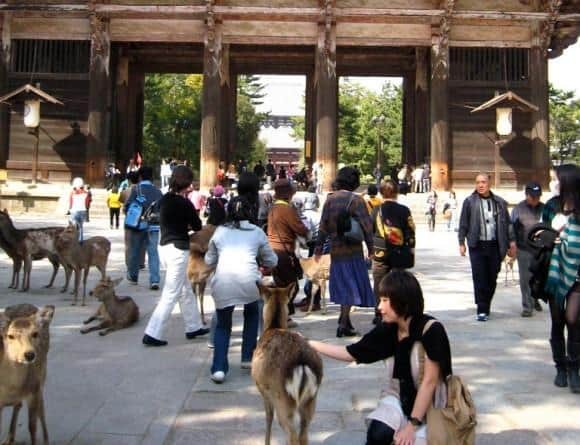 If prancing with domesticated deer and admiring giant buddha is your thing, then head to Nara. Because this route heads south, within a couple of hours of departure you’ll be skirting the base of Mount Fuji which barring low cloud, is always an impressive sight. After that as you continue down the Tokaido main line the vistas are a little less impressive but there’s still plenty of green between the big metropoli and the glimpses of the pacific for a bit of variety. 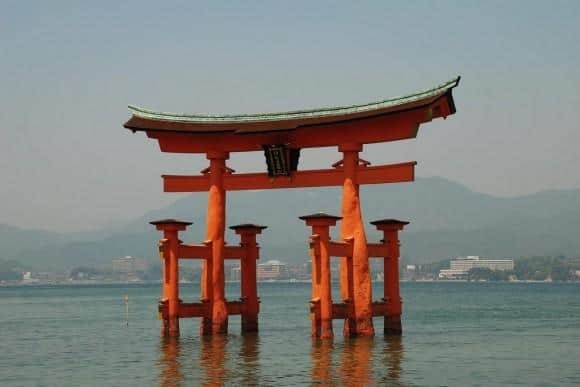 Miyajima is the place with the iconic red torii gate, the base of which is submerged at high tide. The JR site mentions it specifcally and the fact that the Seishun 18 ticket is valid for the ferry to the island. 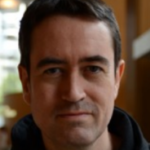 However, to get there in a single day is a huge haul from Tokyo – but possible. In 1 minute over 16 hours, you’ll cover 917.8km and make 10 train changes! Mind you, you’ll get there so late at night that all you’ll be able to do is find a place to sleep and visit the shrine the next morning. With so many changes on the longer routes, the chances that you actually make it to your final destination are about 50/50 – but even if you fall short there’s always the next day. If none of these appeal or if you just want to make your own adventure, a useful site for planning your trip is Jorudan although it’s not as detailed as the Yahoo Japan route finder that I used to work out the routes above. Edit 1/9/2012: Small error there pointed out by Fellow-Bargain-Hunter in the comments below – the ticket is offered 3 times a year. Aside from the periods mentioned above, it can also be used in Spring from March 1 to April 10 with sales beginning on February 20th.